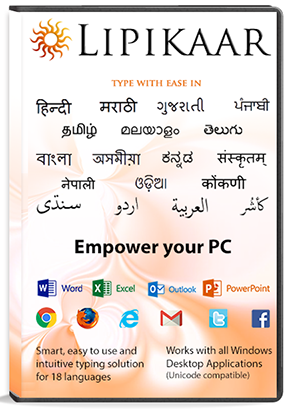 Create Word documents, Presentations, Excel Sheets or write e-mails in your language. No fluency in English is required. Supports Windows XP, Vista, Windows 7, Windows 8 & Windows 10. Express yourself in your language. Works seamlessly with all Android applications like Whatsapp, Facebook & Gmail. 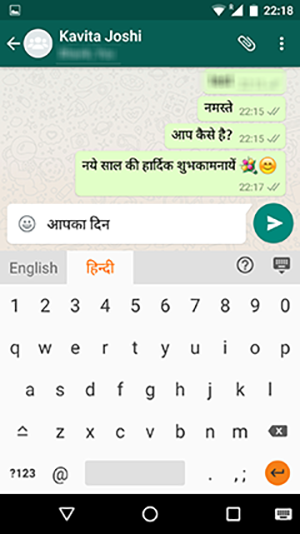 Easy switching between English and the desired language without changing keyboards. Supports: Android version 2.3 and above. This widget is a zero-integration, seamless solution that allows users to interact with your website in his/her preferred language. Just embed a small script in your webpage and start receiving profiles, contact forms, comments, emails, scraps and personal designs in 18 languages. Rule 1: Type the closest sounding key repeatedly till you see the desired script character. Rule 2: To join two characters, type x between them. Rule 3: Type z for special characters.